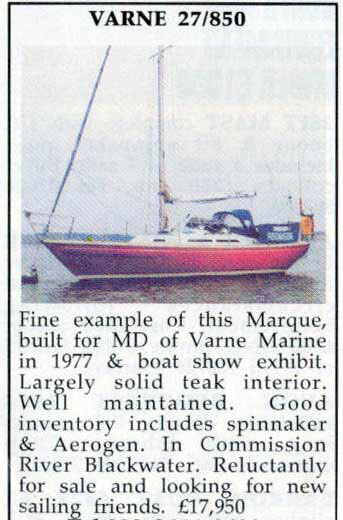 Varne Marine was an Essex based boat builder, starting on Canvey Island in 1973 then moving to Maldon on the picturesque River Blackwater in Essex. Over the years a number of models were produced, from the Varne Folkboat, Varne 27 & Varne 850 to the elusive Varne 36. Varne Marine also built the Hurley Silhouette. Later, Weston Boats produced the 8500 after acquiring the hull moulds. 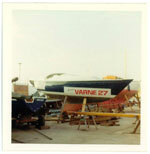 We estimate 70-80 Varne 27 based yachts were built and our Gallery shows around 50 we're aware of. 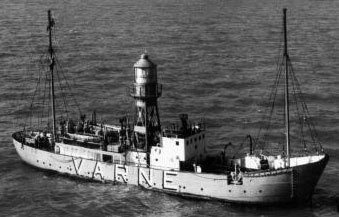 The Varne 27/850 was designed by Duncan Stuart and originally built by Varne Marine. Alan Hill designed the coachroof of the Varne Folkboat for Varne Folkboat Limited. "Walter Standing was the originator of Varne Marine. Walter was an energetic entrepreneur who had a very good Bermudan rigged steel hull boat called "Jonelle" at the Marconi Sailing Club on the Blackwater where he was an associate member. Dennis & Mabs Byatt and their son & daughter also sailed there and became friends of Walter. 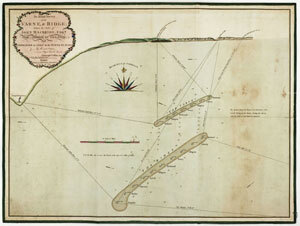 [Walter] once sailed Jonelle to the Med via the Bay of Biscay and Gibraltar. He loaned her to us and we sailed from Spain and around Majorca. Walter had two factories on Canvey involved in electrical components. He had once built a fibre glass car and was interested in building a boat on the lines of "Jonelle". One day when he was motoring he passed a house where the hull of a boat appeared above the hedge. It was Duncan Stuart's house and Duncan was a draughtsman interested in design. Walter persuaded him help start a boat building firm and me and Mabs, together with another draughtsman, David Hildreth. I was very busy as a research scientist at the Marconi Research Labs. Mabs agreed to be Company Secretary and Sales Manager! Varne Marine was born! One of Walters factories was used for electo-plating and we spent several weekend cleaning up the filthy place. This is where the original plug and moulds were made, and the first Varne. There were a number of fibre glass firms on Canvey, so it wasn't difficult to get skilled laminators. The firm shortly moved to Station Yard, Maldon where most of the early Varnes were made and for a few years it thrived with Mabs acting as amateur sales manager. I designed and launched the Varne Magazine "Lightship". 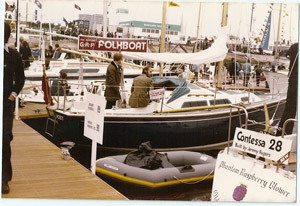 An agreement with the Folkboat Association led to the production of a fibre-glass version which was also shown at Southampton. We exhibited at local boat shows, took part in the "One of a Kind" event and exhibited at the Southampton Boat Show. A significant number of early customers were from Scandinavia and Holland. The demise of the company was the three day week and the exchange rate which devastated sales and the firm was wound up. The moulds were sold but I'm not sure of the details." Click here to see our note to Dennis' comments regarding the Economies of Boat Production in the 1970s. By the mid 1970s in the UK, the cost of goods (including, of course, materials used to make boats) had doubled. The value of the British Pound had also halved against many European Currencies, dire conditions for exporting manufacturers such as Varne Marine. The company was incorporated in 1973, and in liquidation in 1986 before being disolved in 1992. We believe that Varne 27 production began in 1973. Early boats had a swept back skeg & rudder configuration, as shown by the plan of the first 'Varne One', now changed along with the design to the more usual and successful vertical arrangement. The model name officially 'went metric', becoming the Varne 850 in July 1977, before which records show that 47 Hulls had been produced and many boats had been completed. 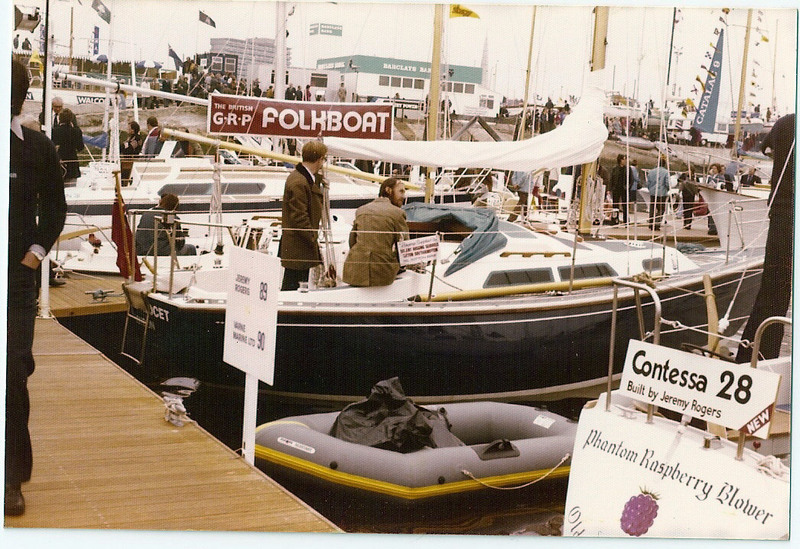 By June 1977, orders for 50 boats had been placed, however this excludes the later Weston 8500 model. Latest known Varne hull = 056 and Weston sail number = 25, therefore we suppose that 80 boats may have been produced (assuming nu,ber 13 never made it out of the mold!). image courtesy of her first owner, Peter Davis. She was also exhibited at the Maldon show the same year. About three years after the name change (approximately 1980? 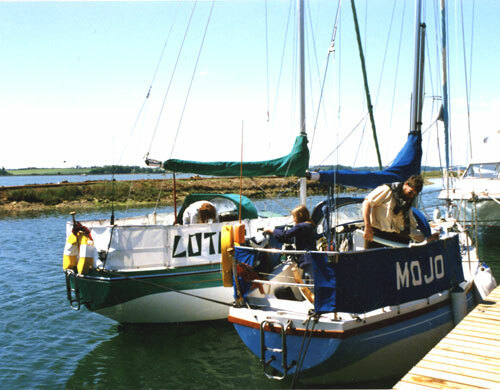 ), Robin Weston acquired the moulds and Weston Boats began producing a modified version called the Weston 8500, available in Fin, lifting Centreboard or Bilge Keel versions, distributed through Tollesbury International Marine. Starting at number 20 (possibly indicating there were 20 Varne 850s produced? ), we believe that 12 of these new Weston 8500s were built. They have a slight increase in overall length (?) and the decks raised to give 4" more headroom. The boats were to be called Weston 28 however at some point this changed and it was marketed as the 8500. This points to a very rough guesstimate of about 70 - 80 Varne 27 based boats being produced. Building the original hull moulds. Duncan Stuart and Mabel Byatt rubbing down the plug. The 'Final Assembly' Plan / Line Drawing is shown below, scanned from the A0 sized original. If you have any more accurate information, or can put us in contact with Mike or Robin Weston, Duncan Stuart, or anyone connected with Varne Marine or Weston Boats, please let us know. We understand that Walter Standing died some time ago and Duncan Stuart emigrated to New Zealand. Built and owned by Varne Marine's owner in 1977. Click the picture for more info. (Old English for 'Red Nine'), until 4/5 years ago, however we believe she's since been renamed. Based on the original hull design with swept back skeg, she was reputedly one of the finest around.